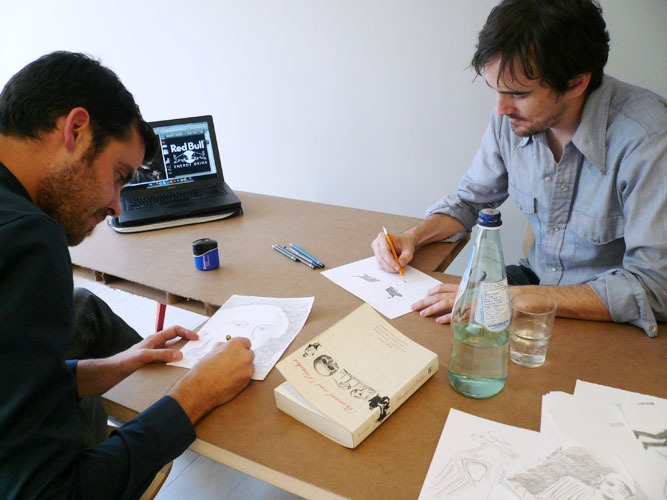 Coming on the heels of splitting the 2011 Artists’ Book of the Moment [ABotM] designation (the other designate being Antonia Hirsch), Gareth Long and Derek Sullivan are taking up residence in the AGYU lobby for a drawing session on Wednesday, 1 June 2011. Present and accounted for will be Derek, Gareth, version 5 of Bouvard and Pécuchet’s Invented Desk For Copying, marking instruments, source material, and paper. Long and Sullivan are continuing their on-going project to illustrate and translate Flaubert’s Dictionary of Received Ideas. 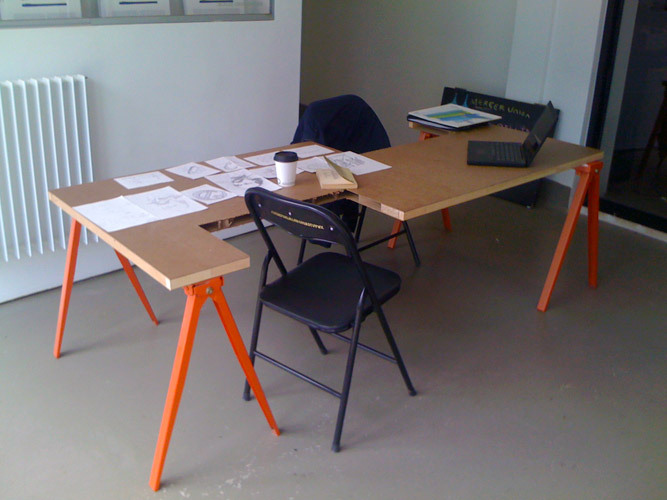 Seated at an iteration of Long’s Bouvard and Pécuchet’s Invented Desk For Copying, a series of desk-sculptures pulled from the unfinished pages of Gustave Flaubert’s incomplete last novel, the two artists intend eventually to illustrate every entry in Flaubert’s posthumously published satirical dictionary — a text that contains 950 biting and surprisingly contemporary entries. They compile their collected illustrations in an on-going series of bookworks titled The Illustrated Dictionary of Received Ideas. 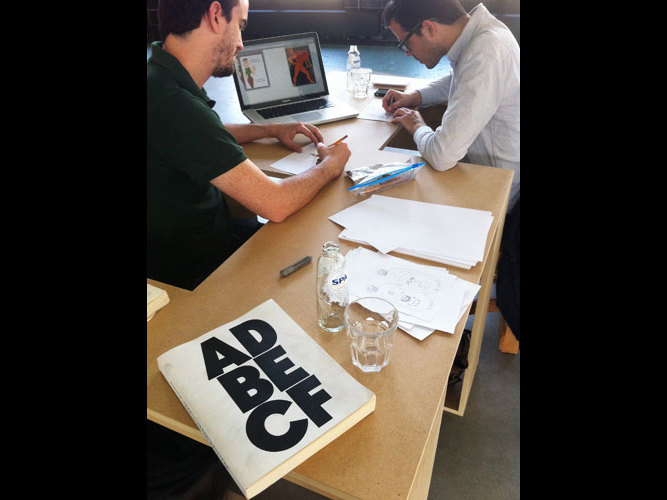 Long and Sullivan have worked on the Dictionary through more than 18 illustrating sessions to date, which have included public drawing sessions at Printed Matter, MoMA PS1, Smack Mellon, Kate Werble Gallery, and the Bloomberg Building in New York; Mercer Union, Art Metropole, and Jessica Bradley Art + Projects in Toronto; READ Books at the Charles H. Scott Gallery, Vancouver; The Musée juste pour rire in Montreal; Wiels, Brussels, Belgium, Flat Time House in London, England; and Shandy Hall in Coxwold, England.